Otoplasty or ear plastic surgery, is one of the most complicated facial plastic surgeries due to the intricate shape of the ear. 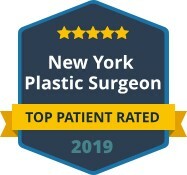 Unfortunately, it is common for a patient to be unhappy with the results of an otoplasty, or for changes to occur to the shape of the ear after surgery. 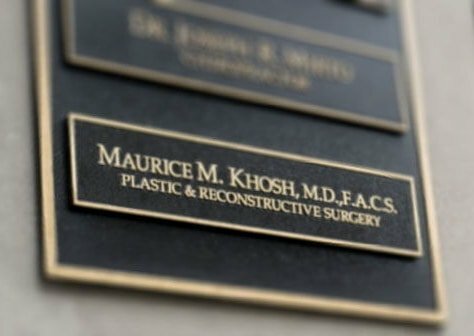 Dr. Khosh is an experienced, board-certified facial plastic surgeon that has the expertise to perform revision otoplasty to improve the appearance of the ear. Some of the common issues with ear surgeries that may need to be revised include ears that are pinned too closely to the head, or the cartilage has an unnatural fold. Also, those with larger ears may opt to have ear pinning, which does not necessary address the size. Dr. Khosh can evaluate the current appearance of your ears and make recommendation how to correct any problems that were caused by your first otoplasty, or were not addresses during the previous surgery. One of Dr. Khosh’s main objectives when performing otoplasty is to create a natural looking ear that fits your face. Often surgery is performed to correct one problem, yet the final results end up looking unnatural. For example, pinning large ears without addressing their size may not give the patient the appearance they desire. With Dr. Khosh’s years of experience, he can create natural looking ears that are balanced and blend with the other facial features. Otoplasty revision surgery cannot be performed until the first surgery has healed, usually at least six months. 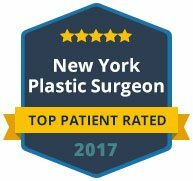 If you have had an otoplasty that was unsatisfactory, schedule a consultation with Dr. Khosh at his Manhattan office. He will give you options on how to revise the previous surgery to create the natural looking ears that you desire. Contact our office today to schedule a consultation for revision otoplasty.